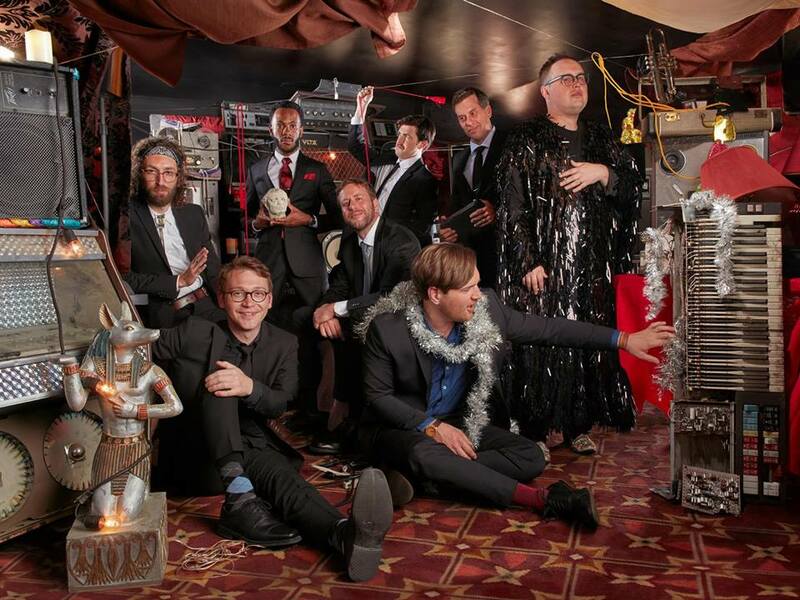 Every time I see St. Paul & The Broken Bones live, it’s a religious experience. The Alabama-based soul band never fails to put on a spectacle. This past Friday was my third time (in the third different city) seeing the constantly-touring collective, and every show has been different from the last, with this most recent performance at The Pageant in St. Louis being no exception. Michael Nau got things going with his fun, relatively straight-forward indie sound. Nau, who sang in addition to playing the acoustic guitar, was joined up on stage by just a bassist, which made the duo’s performance that much more unique and memorable. With this simple duo stage setup, it’d be easy to draw parallels sonically to garage acts like The Black Keys, but vocally I thought Nau sounded a bit folksier—even Bob Dylan-esque at certain points. Elsewhere, he channeled vocal stylings more akin to The Growlers’ Brooks Nielsen. Of course, the act nearly everyone had come to see was not Michael Nau, but the eight-piece headliners based out of Birmingham, Alabama. Their set began with an eerie dissonance playing over the speakers while the massive collective came out onto the stage in waves, a signature move customary for the band. This is the second leg of their extensive tour in support of their most recent LP, Young Sick Camellia, which released last year, so it’s no surprise that the ensemble folded most of the tracks from the new album into their setlist. They were still sure to include plenty of hits from their first two records though. It was nearly an identical setlist from when I saw them at Chicago’s Riviera Theatre last October, which included the two lengthy instrumental interludes in the middle of the set. Each instrumentalist can stand strong on his own, as evidenced by the numerous solos throughout, and together as a team they can do no wrong. Charismatic frontman Paul Janeway was his usual energetic self, rocking an outfit that few can successfully pull off, taking the St. Louis audience to church throughout his band’s entire set. At one point he even took his antics into the crowd. Add in the lengthy yet captivating exit before the encore, and The Pageant was just another incredible night of live music that has become par for the course with the ensemble’s performances. A few things I recall from seeing the group back in Chicago last fall were missing this time around, but these missing pieces were not enough to prevent the band’s St. Louis stop from still being an incredibly enjoyable experience overall. Janeway and company consistently kept the crowd engaged, and that left many walking away at the end of the night, glad that they had decided to spend their Friday evening with St. Paul & The Broken Bones.